Tip of the Day: Spoon-scrape Ginger | eat. write. smile. 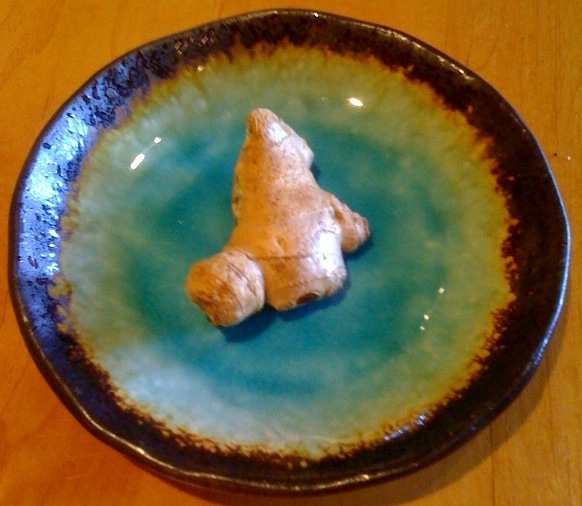 A staple ingredient of many Asian cuisines, ginger is a funny looking root. It’s knobby, gnarled and dirty, but you gotta love its pungent aroma. Sliced or grated fresh ginger makes a flavorful addition to a stir-fry or a soup, to name a few of its varied uses. Beforehand, it’s best to peel its tough, light brown skin. Since most of the flavor of the root is concentrated just below the skin, use a spoon to scrape the skin off, rather than a peeler or a small paring knife. A peeler or a knife will remove the skin better, yes- but most of the flavor too. Wash the ginger root well, and then scrape its surface with a teaspoon. It will be plenty clean AND will retain its signature spicy-sweet taste. this hearty carrot ginger soup, a favorite of mine at Soupa in Squaw Valley Village. 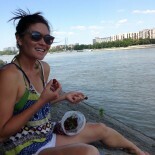 This entry was posted on February 24, 2010 by Ruthie in Uncategorized.